The International Fire Protection & Rescue Exhibition Kielce IFRE-EXPO was held in Targi Kielce from 7 to 9 June 2018. The exhibitors recapitulate the exhibition and emphasise its business significance as well as the number and quality of accompanying events. The expo attracted over 5000 visitors from the Czech Republic, Slovakia, Angola, Germany, Ukraine, Lithuania, Denmark, Croatia, Tanzania, Japan and Poland. Fire-fighters, i.e. 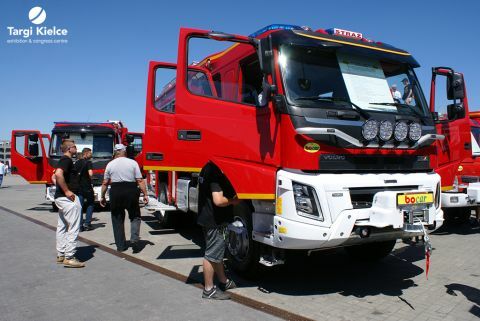 the main exhibition target group were unanimous in their opinions – the exhibition was interesting, the fire equipment and vehicles companies prepared novelties and curiosities galore. SHERP - the all-terrain vehicle made a début at the European markets - SHERP generated an avid interest among the visitors.